Upper Coomera is fast taking its place as one of the most desirable suburbs on the Northern Gold Coast. Here’s your rough guide to who lives in Upper Coomera, how much they pay to live there and the reasons why they love it so much. Upper Coomera Demographics: A young-ish crowd. Situated just north of Oxenford you might expect Upper Coomera to follow its neighbours as another Northern suburb that attracts an older demographic, but Upper Coomera has much more in common with its neighbours across the M1, Pimpama and Coomera with an average age of just 29 according to the last census. Diving further into the data it turns out 55% of the people who live here are families, which is much higher than the national 44% average. Residents earn an average per week of $1765 per household which is just higher than the national average. The median mortgage payment is $2000 per month, well above the national average of $1755 per month. In terms of location Upper Coomera has generally been a suburb where you have had to travel long distances to get anywhere. 15mins to Westfield Helensvale for shopping or 30mins plus to Surfers Paradise for an evening out. 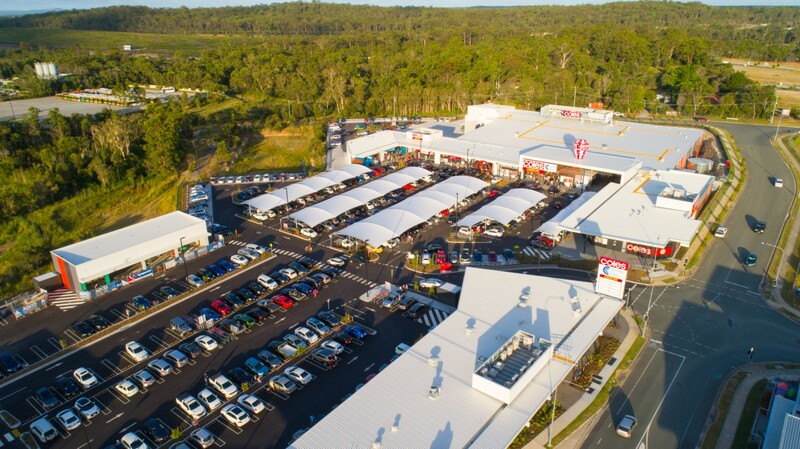 However, since the establishment of newer smaller centres such as Coomera City Centre, Pimpama Junction, Pimpama Village and now the Westfield at Coomera we really have everything on our doorstep. With the establishment of the light rail we can now get to Surfers Paradise, Broadbeach and eventually Burleigh and Coolangatta Airport without having to drive out of the local area. As if the leafy tree lined quiet streets weren’t enough, Upper Coomera boasts a terrific selection of local schools and plenty of trendy cafes to enjoy the day and restaurants to spend the evening. For younger families, which make up such a large part of Upper Coomera the community feel is a big drawcard. From movies in the parks, Halloween events and our Christmas Carols and world famous Candy Cane Lane what better place is there to bring up your children. Upper Coomera is very lucky in the fact that a lot of its residential development has already taken place and has very much slowed down compared to some of its neighbours. Whilst there’s no guarantee it won’t pick up again much of the development in the local region is happening over the M1 in Pimpama and Coomera. The development of Upper Coomera also took place mostly with average block sizes above 500sqm. Whilst there are a few smaller blocks, the suburb has managed to keep land size well above the 300-450sqm block sizes that we see regularly in Coomera and Pimpama. With development still full steam ahead over the M1 Upper Coomera gets the benefit of the infrastructure being built to cope with the increase in population with much less hustle and bustle.